Once a forest has been destroyed, should one plant a new forest to emulate the old, or else plant designer forests to satisfy our immediate needs? Should we aim to re-create forests, or simply create them? How does the past shed light on our environmental efforts, and how does the present influence our environmental goals? Can we predict the future of restoration? This book explores how a consideration of time and history can improve the practice of restoration. There is a past of restoration, as well as past assumptions about restoration, and such assumptions have political and social implications. Governments around the world are willing to spend billions on restoration projects – in the Everglades, along the Rhine River, in the South China Sea – without acknowledging that former generations have already wrestled with repairing damaged ecosystems, that there have been many kinds of former ecosystems, and that there are many former ways of understanding such systems. 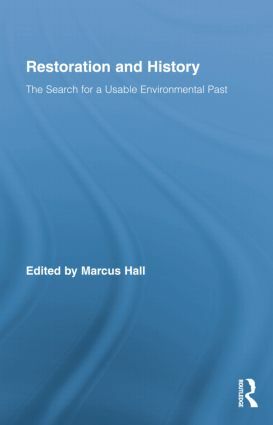 This book aims to put the dimension of time back into our understanding of environmental efforts. Historic ecosystems can serve as models for our restorative efforts, if we can just describe such ecosystems. What conditions should be brought back, and do such conditions represent new natures or better pasts? A collective answer is given in these pages – and it is not a unified answer. Does the Past Matter in Scottish Woodland Restoration?